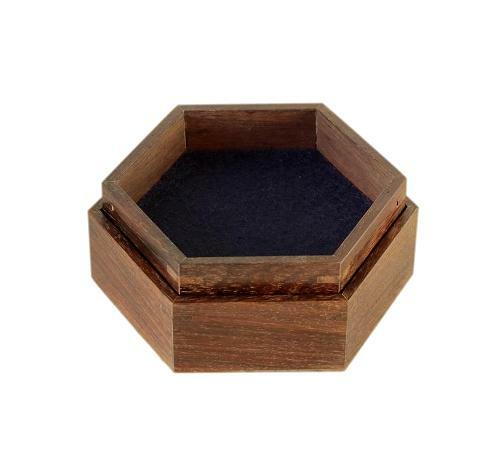 This is a rare small modern artisan jewellery box, made of beautiful Indian Rosewood. It has two tiers, multiple compartments, and still bears its makers/retailers label. 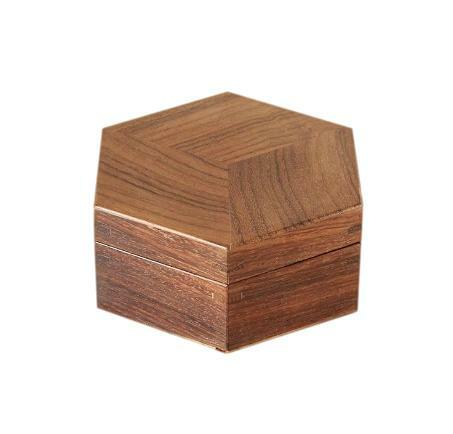 This box has an eye catching hexagonal shape. 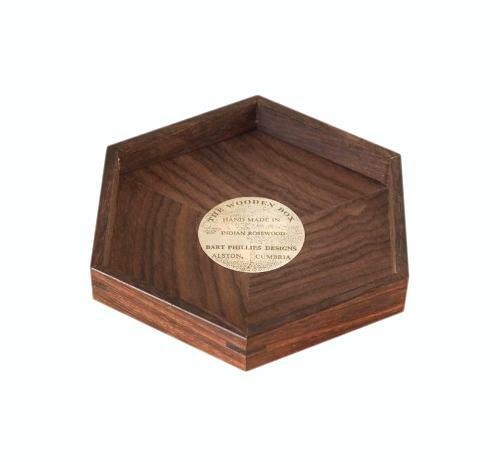 It is made of genuine Indian Rosewood which has a beautiful rich colour and superb figuration. 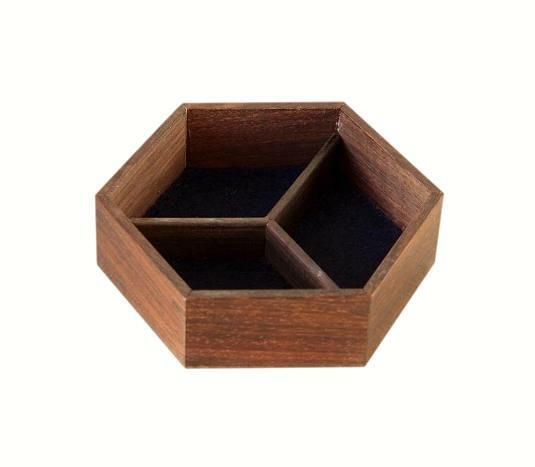 The lid and bases of each section of the box are made up of three diamond shaped pieces of Rosewood, beautifully put together to form the hexagonal shape. 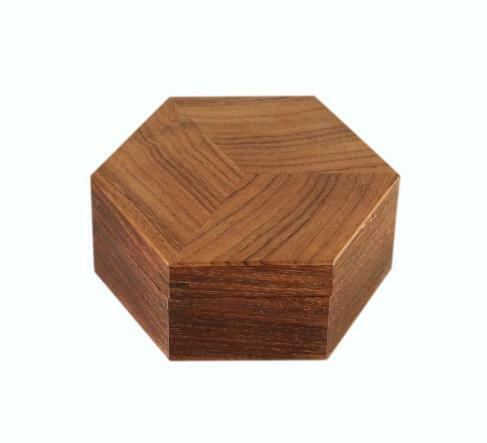 This is a superb high quality hand made box which is extremely well made. 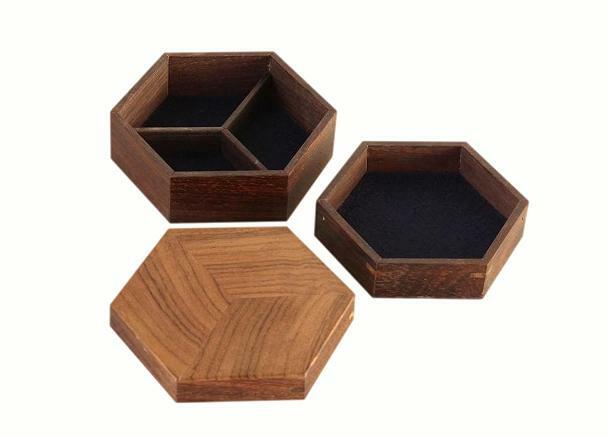 The interior has a tray with a single compartment and there are three further compartments in the base of the box. All of the compartments have soft brushed dark blue felt linings. The inside of the lid has retained its original makers/retailers label. 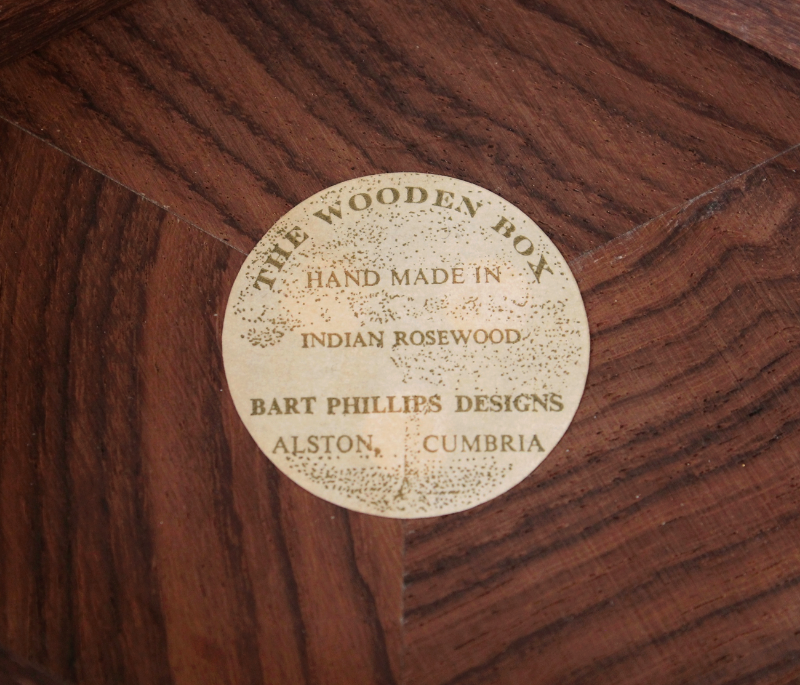 This box was retailed by a company called The Wooden Box and it is a Bart Phillips design. It originated in Alston, Cumbria. There are very few Bart Phillips boxes around and so this is quite a rare little item. This wonderful box is in excellent condition with very little wear. The interior linings have no wear at all and the box appears to have been seldom used, if at all. 9.3 by 9.3cm with a 2.0cm depth. 10.0 by 5.5cm with a 1.5cm depth.